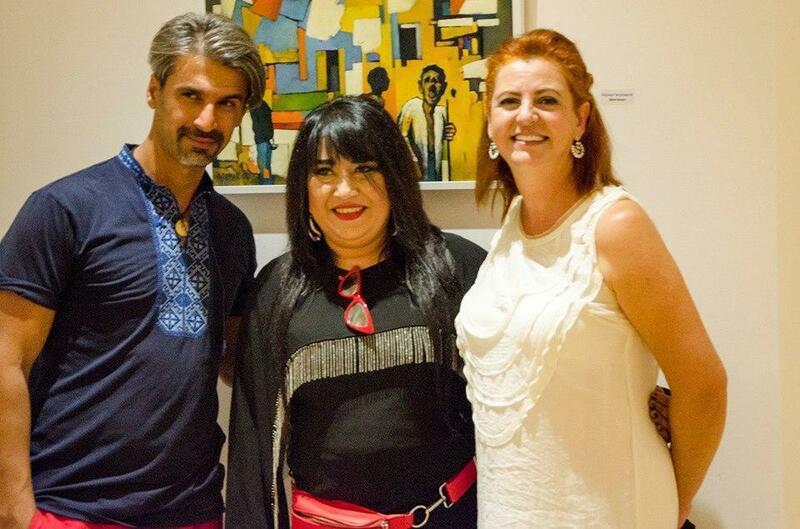 Honored artist Mehriban Efendi represented Azerbaijan at the Oda to life arts festival in Podgorica, Montenegro. Mehriban Efendi accepted the invitation of the president of the organization "Oda to life" Mikey Popovich and took part in the event, presenting five of her paintings - Pearl Star, Impression, Buta, Road to Peace, and Dreams . The festival 'Oda to life has been held in Montenegro for several years and this year it has received the support of the ministries of tourism, culture and education, as well as many foundations and art institute, where more than 20 countries participated. Within the framework of the festival, a grand exhibition was held at the Palace of the Nobility of Petrovich, which was attended by representatives of art institute and cultural organizations, as well as embassies of countries represented in the festival. Famous artists and sculptors from France, Italy, Spain, Turkey, Ukraine and other countries presented their works at the festival. At the festival there were also a famous trio from Milan, La Scala theater, British actors, musicians of the Cadeza choir from Sarajevo and many guests from different spheres of the arts who turned this event into a holiday that united different nations. Note that at this festival Efendi for the first time presented to the general public the original of her painting 'Pearl Star, which was first shown on Broadway in 2012 by the Art Takes times Squire organization. As a result of the victory in the competition, where more than 100,000 artists and photographers from all over the world participated and according to the results of the audience voting, 1,000 best works were selected. Mehriban Efendi was born in 1968 in Baku. She graduated from the painting school named after Azimzade, animation school of Soyuzmultfilm in Moscow. Works as a graphic-animator, artistic clothing artist in many animated films shot in "Azerbaijanfilm". She is a member of the Union of Artists of Azerbaijan, the Union of Designers of Azerbaijan. Her works were exhibited in galleries of Azerbaijan and foreign countries. She was honored artist of Azerbaijan for her contribution to the development of Azerbaijani cinematography in 2016. Efendi exhibited her works at the World Art Gallery in Muskegon, the U.S. in 2012. The works of 12 artists were also exhibited at the exhibition. The artist has received a proposal for long-term cooperation with the gallery.